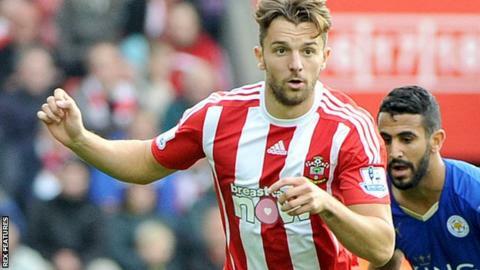 Southampton striker Jay Rodriguez faces eight weeks out following surgery on his ankle. The 26-year-old has not played since a 2-2 draw against Leicester on 17 October. "We know Jay had the surgery last Tuesday and we are happy about that, because that was the best to do," said manager Ronald Koeman. "That was a good final decision to do that, but then you know he's maybe out for seven to eight weeks." Rodriguez made a long-awaited return from a ruptured anterior cruciate knee ligament suffered in April 2014 at the start of the season. He has made 12 appearances for the Saints this campaign, scoring three goals. Before Saturday's game at Manchester City, Koeman added: "We don't have other injuries and the team is fit, the team is doing good training sessions and that's always important to have a good feeling for the Saturday game."